Destinations Covered: Ahmedabad, Dasada, Patan , Mt. Abu, Dungerpur, Udaipur, Bhanswara, Jaislamer, Jodhpur, Varanasi, Kochi & Periyar. Jan 15th – A.M After arrives Transfer from International Airport to Hotel The Metropol. P.M- We will visit the first part of the renewed Calico Museum of Textiles - rated as one of the worlds finest. Jan 16th- A.M. – This morning we will see the second half of CalicoMuseumand in the afternoon visit some local sights and walk around the local market, we will have dinner at the very famous AGASHIYA restaurant, offering Gujarati Thali on the terrace of a 1920s heritage building. Jan 17th A Leisurely starts for Dasada on a route we will stop at the ModheraSunTemplebuilt in 1026 by king Bhimdey, one of the finest examples of Indian architecture of its period. Arrive & check-in to Rann Riders which provides Individual Luxurious Thatched Cottages designed from local materials and handiwork. P.M- walks around into village to see Vadiaare Rabies and Bharwads (Shephard0) community house. Jan 19th This morning early start to Mt.Abu(05.00 Hrs drive) on route we will stop at PatanVillageat a Master Weavers house to see Patan Patola: ancient heritage in fine textiles. (Double Ikat) Patola from the area of Patan in the North Gujarat region of western India glorifies this heritage. With its unique gems of qualities, gorgeous colors, designs and durability, its very appearance lures the connoisseur of fine textiles. It has no reverse side. Both the sides have an equal intensity of color and design. The peculiar quality has its origins in a very intricate and difficult technique of Tie-dyeing or Knot dyeing known as "Bandhani Process" on the wrap & weft separately before weaving.Arrive & check-in to Jaipur House (A heritage hotel) “Royal Heritage built by Jaipur Maharaja in 1897. P.M- we enjoy some of the viewpoints, walk around by Nakki Lake and Sunset Point to the west, give superb views across the plains. P.M- Will have Bullock cartridge in to explore the village life style and possibly see Rabari (SHEPHERD) and Bell (Tribe) community people house. Jan 25th- After b/f we leave for Jaisalmer. Upon arrival, check in at Fort Rajwada for three nights stay, It’s a modern luxury Hotel deceptively old-looking from the outside, built in strict accordance to the principles of Vaastu, India’s answer to feng shui. Jan 26th- Today we will visit Jaisalmer Fort, (the only living fort in India with about 3000 inhabitants) then the Jain Temple and Havelis and time to wander through the narrow streets. Later we will visit Khuri Dunes for a camel ride at Sunset. Khuri is a truly glorious stretch of sweeping sand dunes where you can get an insight into real desert life. 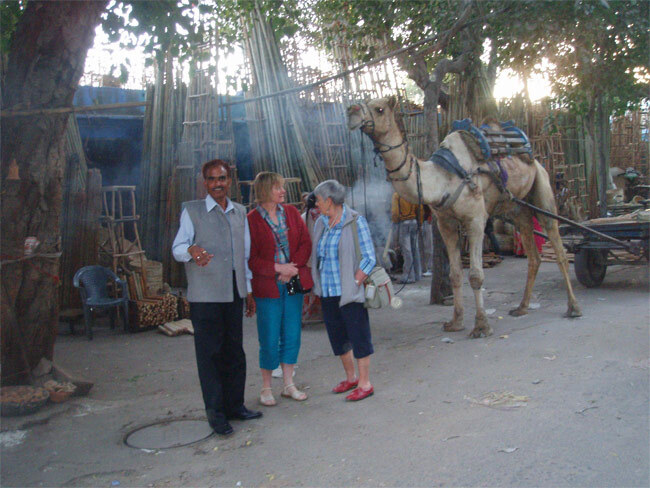 Jan 27th – Jaisalmer- Day at leisure or visit the local bazaar and meet weavers, potters, and craftsmen or perhaps we could go for enjoying an optional Tonga ride. P.M- In the afternoon we will walk around famous spice market in the Old town by the Clock tower. Jan 29th- After b/f leave for half day Guided city tour covering Mehrangarh fort – unsurpassed in beauty & grandeur, it is one of the largest forts in India. Innumerable palaces in the fort which are interspersed with sprawling courtyards, intricately carved Jaswanthada – The 19th-century royal cenotaph, a creation in white marble. P.M- We will have short Jeep drive visit Bishnois Village: The Bishnois follow “29” (bish-not) principles of a non-violent Vaishnava Sect which was founded in the 15th century by jambeshwari. They are known for their reverence for wildlife and their careful environmental management. Protecting especially green vegetation and preserving the blackbuck antelope from extinction, they are a gentle Community of potters, weavers, leather embroiderers and camel herders. P.m- After lunch, we continue to explore the city of light. Varanasi is situated in the state of Uttar Pradesh in India. It is famed with the western banks of the River Ganga and is renowned as the one of the oldest living city in the world. This Hindu pilgrimage center is popularly known as Kashi by devotees and Benaras by many Indians. Feb 01st- After b/f leave for the half day trip to the Old part of the city to visit Visvanath Temple and some others also the Ghats, Varanasi is remarkable for a number of Ghats and its various rituals. Amongst the 81 Ghats, some important names are the Assi Ghat, the Dasaswamedh Ghat, the Manikarnika ghat, the Tulsi ghat and Panch Ganga Ghat. Different religious legends are connected with each of the ghats but the common theme lies in taking a dip shower into the holy water and wash away all the committed sins. We will also enjoy a boat-ride starting from Dasashwamedh Ghat ending the journey at Manikarnika Ghat. Feb 3rd– After breakfast, start a day long sightseeing tour of Fort Kochi including Dutch Palace - this palace was constructed in 1555 AD by the Portuguese rulers and offered to the king of Kochi. The 17th of century murals portray scenes from the Ramayana an epic of India may be seen here. Also, take a tour of St. Francis Cathedral, it was originally built in 1510 AD by the Portuguese and is considered as the first church made in India by the Europeans. Vasco Da Gama was buried out here originally. Later visit Chinese fishing nets - these may be viewed from the entrance of the Cochin harbor. The techniques of catching the fish were told by Chinese through business contacts. Along with the back water, these Chinese nets are a charming sight. Take a short tour of Jewish Synagogue. The Jewish Synagogue was built during 1568 AD; it contains Old Testament Grand Scrolls and the copper plates having the privileges approved by the rulers of Cochin to the Jews. The floor of the synagogue is cemented with exquisite Chinese hand painted tiles. Later take a walk in the spice markets of Cochin. In the evening, visit one of the many theatres to watch the live performance of traditional Kathakali Dance. Overnight stay at the hotel. Feb 06th - Finish the backwater cruise at Kumarakom jetty. Disembark the houseboat after breakfast. Later transfer to Prayer (180 K.M-4h) in route we will visit rubber and tea plantations. After arrive at Periyar check in to the Club Mahindra Tusker Trails The Rest of the day will be free to admire the beautiful views, swim in the large swimming pool, relax in the Ayurvedic massage parlor. Overnight stay at the hotel. Feb 07th - In the morning, take a boat ride over Lake Periyar to see the rich wildlife. Periyar Tiger Reserve or Periyar National Park is spread in an area of 777 square KMS. It is a quite rich, diverse deciduous jungle, combined with the open area of the tall grass. The Lake Periyar is an artificial fabulous lake scattered with dull wood’s snags, water birds, grey heron, darter, kingfisher, and regret. Periyar is one of the best places to see the wild Asiatic elephants. The huge mammals out here swim over the water & the streams and normally these animals may be spotted while taking the boat ride at Lake Periyar. The boat is the only available mode of transport at Periyar National Park. In the afternoon, we will visit the spice plantation to see cardamom, pepper, coffee, and tea estate etc. On the way back to the hotel, you may stop at the local market and pick up some fragrant spices or take an elephant ride through the plantation. 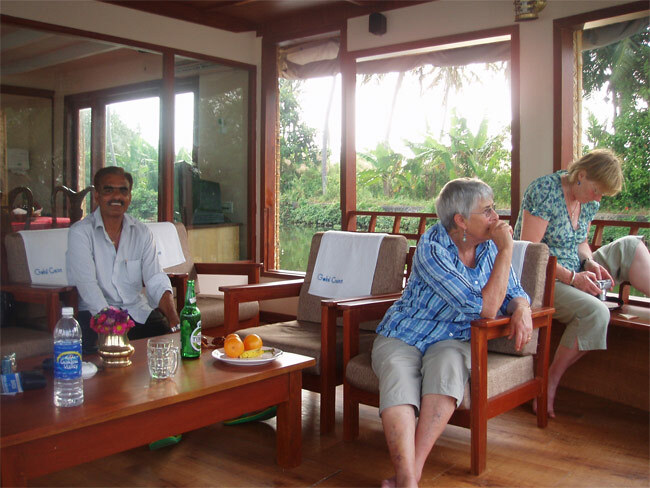 Feb 09th – After b/f – make way from Hotel to Kochi International airport for your return flight to England.